A prom or graduation party photo booth rental in Chilliwack, BC is so much fun. You can literally harness the fun and excitement of it all and forever preserve the laughs, the memories, priceless moments, and hilarious antics of your special guests. While all prom or graduation partys must come to an end, the amazing experience and delightful memories we capture will last for many years to come. They really help a lot of people to mix, mingle, and meet others. It’s amazing how turtles come out of their shells and people who tend to be on the shy side, avoiding attention, have a great time acting a little goofy in the booth. People love to take home souvenirs of themselves. 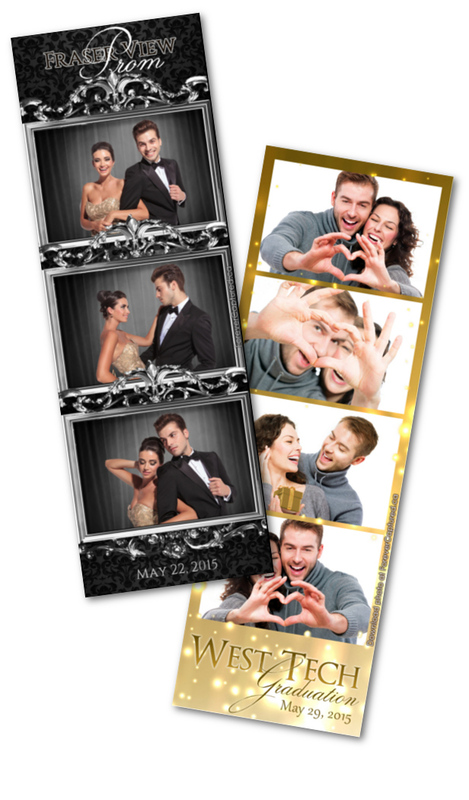 Photo booth pictures are the most amazing prom or graduation party favor you can buy. We find that people put them on their fridge or in their office, and they often remain there for years – a lasting connection to the fond memories of a delightful day. Whether you’re looking for a photo booth rental in Vancouver, San Diego, Los Angeles, Toronto, Portland, Surrey, or Chilliwack, many people don’t realize that in a number of ways a booth can do what only the most gifted wedding and events photographers can do – but for a more affordable price. Our all-inclusive rental package is designed to make your prom or graduation party exceptional. When you rent or hire a prom or graduation party photobooth in Chilliwack from Forever Captured, you receive unlimited photos – as many photo sessions as your guests want. Every photo session prints as either two traditional 2×6 inch photo strips or as one 4×6 inch postcard style print. You can choose a backdrop too – even a green screen – and we always bring a huge number of fun and interesting props to spark your guests’ creativity and bring out their fun side. One of the things we’ve become well known for is our amazing photo strip designs. We create them in the vintage photo booth 2×6 inch format – but with a modern twist. They’re themed. The way we think, every part of a prom or graduation party should be themed – including the photo booth you hire. That’s why we regularly completely custom design photo strips for proms & graduation parties from scratch for no additional cost. We design these in consultation with the party organizer to infuse the overall look and feel of the prom or graduation party’s theme elements and colours into the photo strips. We even carry this themeing through to our booth’s touch screen that your guests will interact with. We theme it too so that it matches your custom photo strip (or 4×6 inch prints if you choose them instead). In the end, this all comes together as a beautifully customized theme that captures part of the magic of your special day and allows your guests to take this home with them as the ultimate prom or graduation party favor. We also always enhance your guests’ prom or graduation party experience by providing a friendly, professional attendant who will usher and assist your guests through their photo booth experience for the entire length of time the booth is open and ensure everyone has a great time. A photo booth is all about having fun and a great experience. 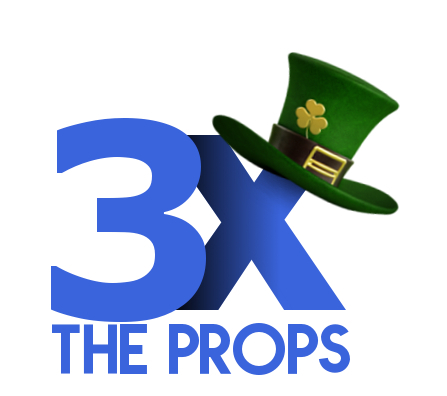 That’s why we bring 3 times more props than most other rental companies. We don’t put them all out at the same time, though. We introduce new props throughout your event to keep things fresh, interesting, and fun. Unlike some photo booth machines you’ll find some companies using, ours is not cheap. It’s a hi-tech, premium quality, open concept booth with a very high resolution camera and touchscreen technology. It produces high quality photo strip prints within 10 seconds that are lab quality. They won’t smudge, and they should last a hundred years. We rent our portable booth for proms & graduation parties in Chilliwack, BC and almost any other location across the Lower Mainland and Fraser Valley. We take care of setting up the booth, operating it, and taking it down. So you don’t have to worry about a thing. All you need to do is smile for your picture and have a wonderful time. You can actually start your fun right now by clicking here to see the various photo booth layouts and prom or graduation party designs you can choose from when you rent from us. We’re also happy to custom design something for you too. We keep the cost of our photo booth rental straight forward: we rent it by the hour and always include all the fantastic features described above. The price for renting our booth starts at $549 for 2 hours. Please contact us to see if we are available for your event or for rentals that are longer than 2 hours. So if you’re searching for something that will bring your guests together and give them something to do and talk about that’s fun and exciting, a photobooth rental for your prom or graduation party in Chilliwack, BC is the best fit. Forever Captured Photo Booth Rentals is here to help you put together an exceptional experience that your guests will really enjoy and remember for years to come. Contact us today, and we can begin discussing what you have in mind for your prom or graduation party. Contact us at info@forevercaptured.ca or at 778-899-5685.